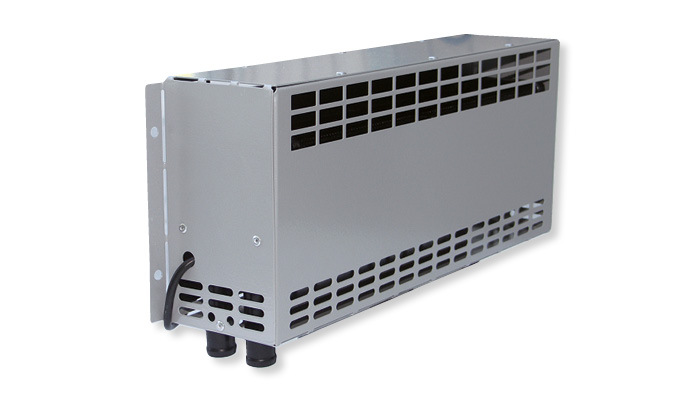 A compact, reliable and efficient heating solution. Compact Climate is a series of blowers which is slim, powerful and adaptable to your needs. The housing is comprised of steel plates in grey or black, riveted together for strength and damage-resistance. 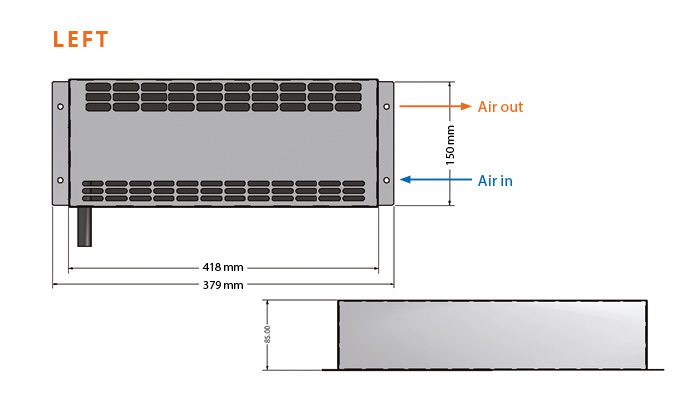 Compact Climate uses axial fans which blow air through an aluminium heat exchanger, and is available in 16 and 19mm hose connections on the left (L) and right (R) side. The first two digits of the article code refer to the voltage, the last two refer to connection diameter. Also available in black, with B at the end of the article code (for example CC1219L-ALCB).